you’re holding the future in your hands! 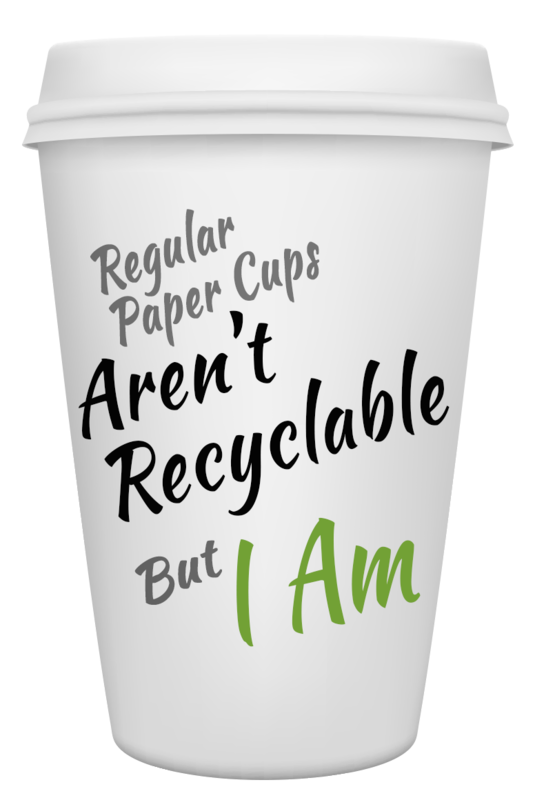 Return-A-Cup was created in co-operation with Various recyclers to deal with the myth that paper cups are not recyclable. Our paper cups are recyclable if they are stamped with the “Return-A-Cup” logo. Once collected all our cups are sent to paper mills to be converted into paper supplies. Return a cup is a venture conducted by Active Difference Ltd. Through active managed partnerships we enable our customers to concentrate on their sales and achieve maximum productivity while we take care of the supply chain fulfilment. We supply products that sell, helping to bring about a sustainable competitive advantage for our customers.